Registration is now closed for Wall Art Learning Series: Utility Box Murals workshop. This workshop is an overview of the 2 utility box programs available in Toronto. 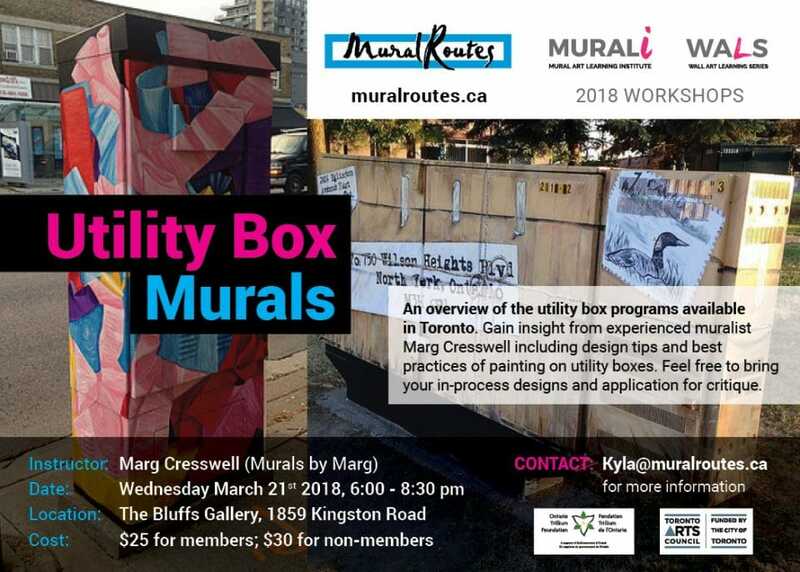 Gain insight from experienced muralist Marg Cresswell including design tips and best practices of painting on utility boxes. Feel free to bring your in-process designs and application for critique.